Here I am sitting in Café Belga while all of India celebrates Deepavali (Divali in the North), the festival of lights. Deepavali is one of the most important Hindu holidays. 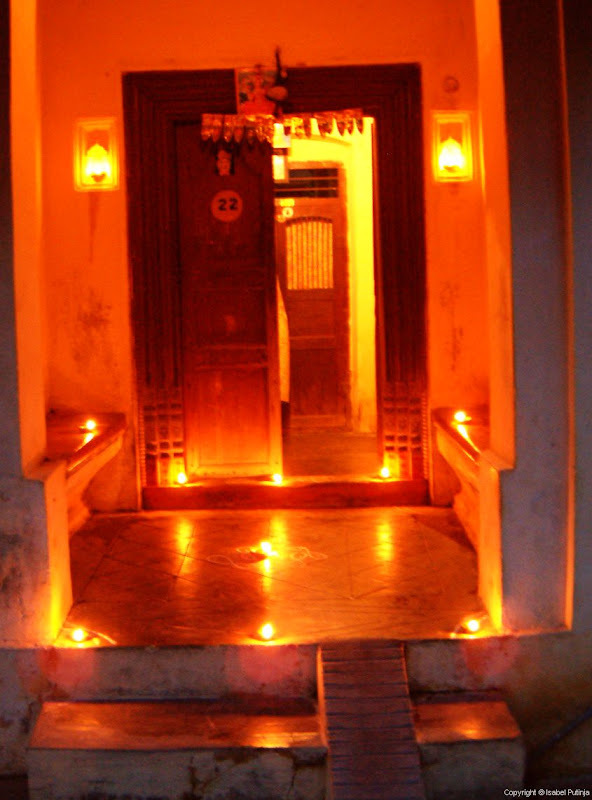 Homes are decorated with flowers, lamps and kolams, fireworks are set off to celebrate the victory of good over evil, and gifts and sweets are distributed to family and friends. Hopefully I can witness the celebrations next year. I'll be back in Bangalore in two weeks time so blogging will be a little slow in the meantime! Did you know that Diwali celebrates the return of Lord Rama to Ayodhaya after his 14 year exile (and killing Ravana in Lanka)? Happy Belated Diwali by the way :).